There is major acquisition news today involving practice management technology. Software Technology LLC, developer of Tabs3 Software, a leading desktop law practice management program, has acquired CosmoLex, one of the leading cloud-based practice management platforms. The practice management platform CosmoLex has been approved by the Law Society of Alberta as a software vendor for its Electronic Trust Transaction Reporting Program. Before-and-after views show the navigation panel moved to the left. 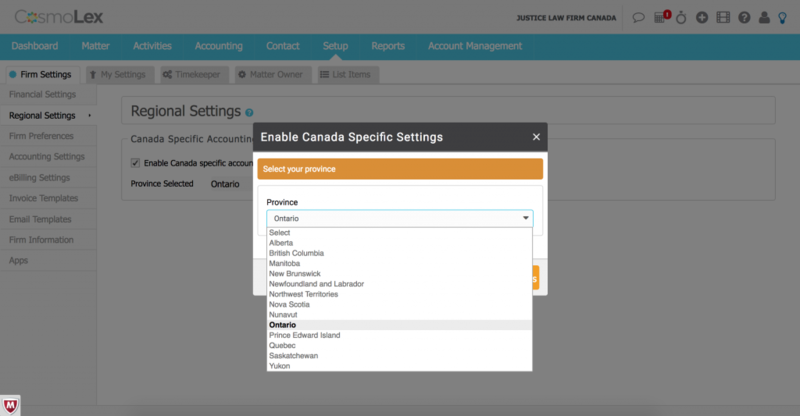 Canadian lawyers can enable settings specific to their province. 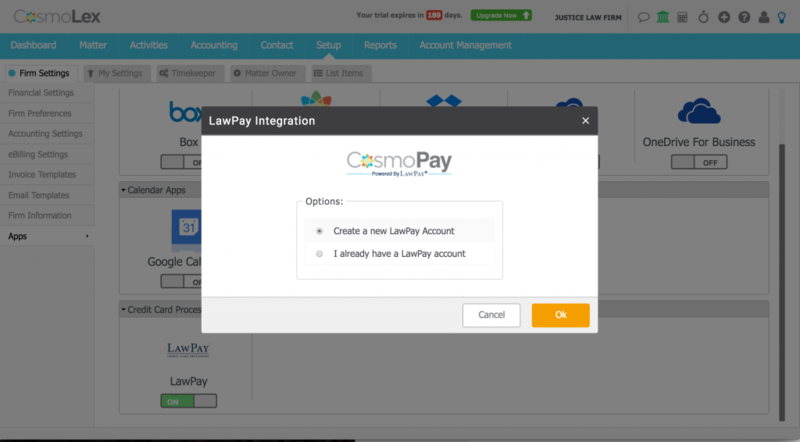 CosmoLex, the cloud-based practice-management platform, today announced the release of a new credit card processing feature, CosmoPay, that eliminates the need to pay a separate subscription for credit card processing services through LawPay. 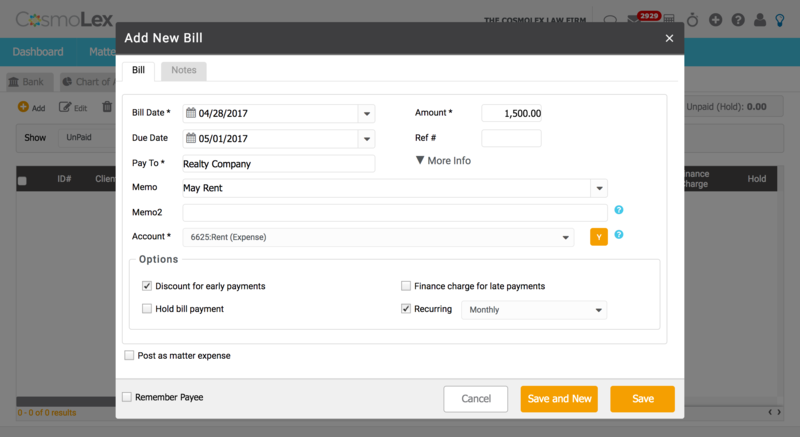 Now you can add bills for accounts payable within CosmoLex. 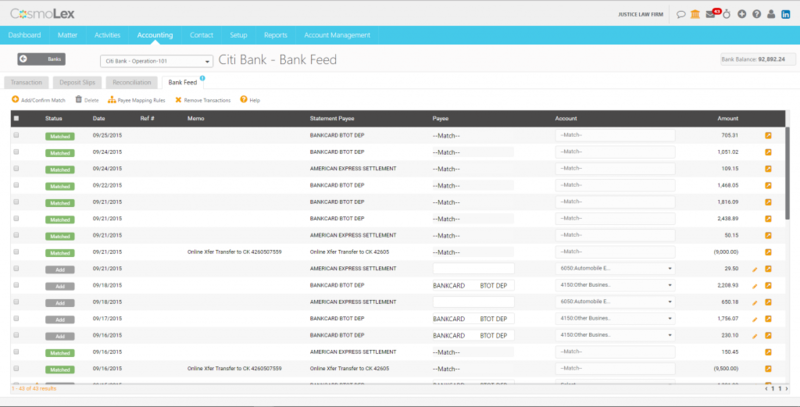 The bank feed is matched against transactions recorded in CosmoLex. In lieu of flowers or candy, CosmoLex is giving its customers something different for Valentine’s Day — automatic, direct bank data feeds. The practice management provider CosmoLex today is releasing Law Firm Accounting Demystified, an e-book intended to serve as a detailed guide for law firms to handling legal, trust and business transactions. 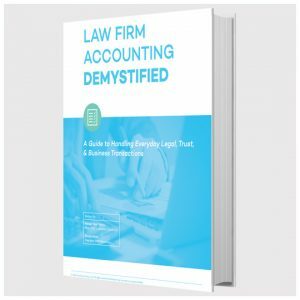 The book is available for free online at www.LegalAccountingGuide.com or can be purchased as a downloadable e-book for $42.50. With OneDrive integration enabled, users can now open documents directly in Office web apps. CosmoLex, the cloud practice management platform, is rolling out new features today that include two-way synchronization with Office 365 calendars, integration with OneDrive, document search, document version control, and new notifications through the client portal. Adding time passively captured in Chrometa to a CosmoLex matter. The practice management platform CosmoLex today announced its integration with the passive timekeeping system Chrometa. 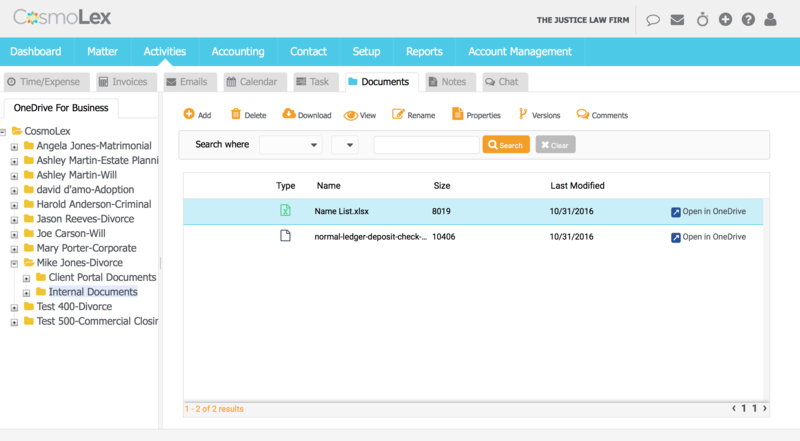 The advantage of this integration is that it helps attorneys ensure that they are capturing and billing as much of their time as possible.